As a seventh grader in Salinas, California, Corinne Warnshuis was tasked with creating a website for a school project. The topic: ancient Egypt. Warnshuis and her peers dove into the assignment, posting drawings of hieroglyphs and facts about the civilization. “It was the most-basic kind of website you could build, but it was exciting to realize you were creating something other people could interact with and learn from,” she recalls. The site paid off not only with a good grade but also with a trip to Disneyland when it won a statewide contest, and Warnshuis learned that a little coding could go a long way. Warnshuis says she is grateful to have attended a school invested in promoting technology education, which is now her professional focus as executive director of Girl Develop It, a nonprofit that provides web and software development education for adult women. Although Warnshuis considered herself a tech-savvy teen — using code to make her MySpace look extra cool — she says she didn’t consider computer science as a career path in college, majoring instead in sociology at UC Santa Cruz. It wasn’t until she was working an entry-level job for WHYY, a public media organization in Philadelphia, when she found out about Girl Develop It in 2011. “I totally fell in love with the organization and started volunteering as a class organizer and later became one of the Philly chapter leaders,” says Warnshuis, who notes that the chapter now has more than 5,500 members of GDI’s 103,000 nationwide membership. The organization was such a good fit for her interests that taking a job as GDI’s first executive director in 2014 was a no-brainer. And with a new DreamHost partnership, Warnshuis and her team are armed with more support in their crusade to educate and empower (also one of DreamHost’s core values). DreamHost is now the official sponsor of GDI’s WordPress classes, and the cooperative will offer a free shared DreamHost account and domain to the first 100 WordPress class users, among other benefits. 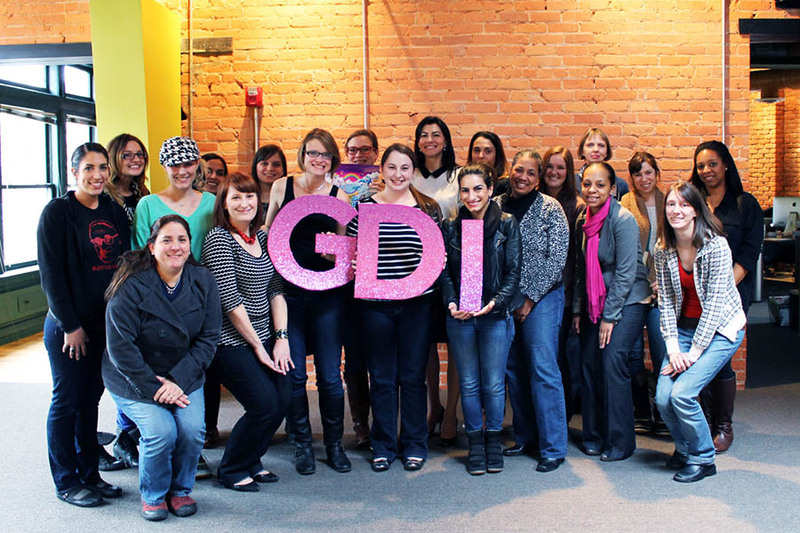 Read on to learn more about what makes GDI tick and why tech companies with more women in management have a 34 percent higher return on investment. 1. How would you describe Girl Develop It to someone? It’s an organization that opens doors for people who have been left out of tech education, specifically women, and it creates community around building skills and confidence. There are so many great ways to learn online, but one of the unique and powerful things about GDI is that we bring people together to help them learn new skills or expand skills in a supportive environment. Our core program is our web and software development classes; we cover everything from building your first website to more technically advanced topics. We intentionally create a welcoming space for women to learn in a community focused on building confidence and fostering connection. 2. What are some of Girl Develop It’s success stories? We have many inspiring stories of women who have come to classes and developed their skills, and then go on to start their own companies or build their own websites to promote their products or great ideas. Not only do members learn new skills, they also make great connections, too. A member from the GDI Philly chapter started as student and then went on to become a TA and was hired by her WordPress instructor. GDI has even helped people to change careers. One of our members from the GDI Cincinnati chapter switched careers from being a research scientist to a web developer and wrote her first line of code at a GDI Code & Coffee event. Within six months she was writing code professionally and more than tripled her salary. Now she is a chapter leader paying it forward. Many of our students come back to GDI to volunteer as teaching assistants because they had such impactful experiences and they want to lead our chapters in different cities to help build others’ skills and confidence. They start speaking at conferences or talking with others in their communities, sharing the important message that being in the tech economy isn’t just for one type of person. Another great ripple effect we’ve seen teaching adult women is that our students often reinvest the benefits they’ve gained from new skills or increased confidence in to their families and their communities, which benefits all of society. Women really want these opportunities. GDI began in 2010 when Vanessa Hurst and Sara Chipps offered the first class in New York City, which sold out in one day. Now Girl Develop It is serving 103,000 women and growing at a rate of more than 2,000 members a month. 3. TED’s blog argues that creating technologies, not just using them, makes people truly fluent. What are your thoughts? There’s no other industry that has the ability to shape the future as much as technology, and there needs to be more diverse voices and creators in the rooms where world-changing technology is being built. We want underrepresented groups, including women, to have the opportunity to participate in the tech economy of the world. It’s important that women are at the table; we are 51 percent of the population. 4. What kind of women do your classes and communities attract? All backgrounds and all personalities — one of the stereotypes we try to break is that only one type of person, or a person with a certain set of personality traits, is cut out for programming. We see women who are early in their careers, looking to add skills to their résumés, whether they’ve recently graduated with a degree in political science or in history or didn’t pursue higher education, whatever it may be. More and more women are realizing the value of adding programming skills to their toolkits to complement their expertise. We also have women take our classes who are aspiring career changers; they are attracted to tech and want to learn more about it. Maybe they work in marketing at a tech company or in another field entirely but are interested in changing careers. There are women and mothers who are returning to the workforce after having children or after taking time off to care for a family member; there are those who studied technology in college in the 1980s and come to classes because they want to update their skills. There are also people who are in academia or library sciences, for instance, who want to learn to program to make part of their jobs easier. There are so many others, so many people who come to Girl Develop It for different reasons and with different goals in mind. Entrepreneurs who have an idea and want to learn the tech side of things so they can speak to developers. Mommy bloggers who want to create a strong website. There are many organizations focused on getting underrepresented groups into the tech industry pipeline, and that’s great, but what we’re providing are opportunities for people interested in doing anything they want with the skills they learn in our program. 5. How does GDI build confidence in women? We’re helping women grow confidence, but we’re also unlocking hidden potential, building on what women already have within them. GDI personally helped me build many skills and become more confident speaking in front of a room of people. We begin every class with student introductions so students can practice this important skill. Historically, women have been told that technology is not for us, and that we’re not cut out to be the builders of it. Stereotypes in media would have us believe if we didn’t take apart a computer as an 8-year-old, we’re never going to get it. But that’s a false narrative. When women do learn and try it, they realize, “Hey, we can actually do this!” It makes people wonder: “What else can I do that I’ve been told my whole life that I can’t?” and that’s really empowering. You can learn to code on your computer at home, but when you’re in a group of people going through that same experience together, it’s really exciting and validating, and that’s really key. The change I’ve seen in so many women is in how they believe in and carry themselves and speak about their abilities; their lives have changed at a fundamental level. 6. Your website notes that tech companies with more women in management have a 34 percent higher return on investment. How so? It goes back to the fact that if you have more diverse voices at the table making decisions you’re going to come up with better products and better solutions to problems. In the last few years there have been a lot more conversations about diversity; it’s not that women have inherent traits that make them better at communicating or collaborating — but diversity is about the different ideas and approaches to problem-solving that come from different lived experiences. Instead of a homogenous group that has had the same, or similar, opportunities and has generally been treated the same way by society, diversity gives us new and innovative approaches to every facet of work and management. Diversity is always a good idea. 7. Women obtain 57 percent of U.S. bachelor’s degrees but fewer than 18 percent of those degrees are in computer science. Why is that? With the introduction of the home computer in the 1980s, boys were, by and large, encouraged to play with and tinker with them. By the time they got to college or high school, they had a fluency that girls and eventually women didn’t have. Women would drop out of computer science classes in droves because they felt they were missing core fundamentals or that they couldn’t ask questions without being judged or ridiculed. Also around that time, stereotypes in movies and TV began to emerge of the boy genius or the computer geek, and that helped narrowly define in many eyes who could be a computer scientist. Women were pushed out from the beginning. But in the 1940s, women were programming. Women were working in England on World War II missile computations, and at UPenn women were the first programmers of the first computer, the ENIAC. There’s so much rich history we don’t learn about. Megan Smith, Barack Obama’s CTO, has a great talk, in which she describes how women were always part of the story, we just don’t hear about it. She’s a really inspiring advocate who works hard to shine a light on these lesser-known stories. 8. What drives the team you work with? Passion! At least half of our team are people who have personally been impacted by GDI; when we’re expanding our team we don’t have a hard time finding people who are passionate about GDI and wanting to support its success. We’re a small, lean team, but we’re very focused on the mission and all of us are here for the same reason: the impact we can make in the lives of our members — that’s what motivates and drives us. 9. 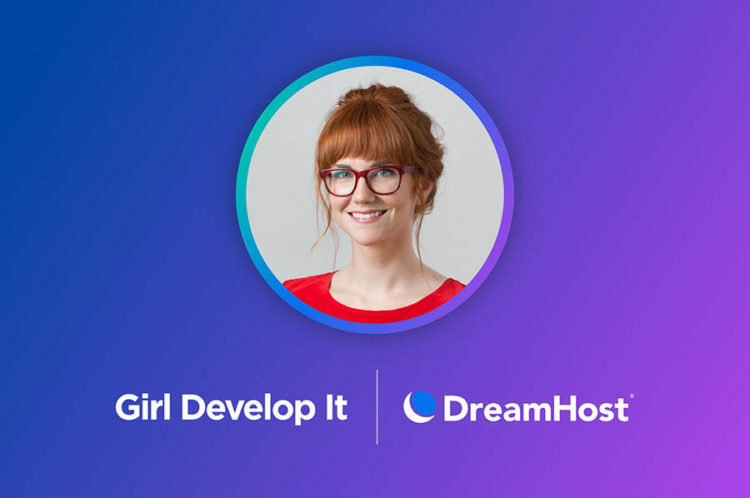 DreamHost is now the official sponsor for Girl Develop It’s WordPress classes. How is this beneficial? We are so grateful to be working with DreamHost because the support is going to help us grow the organization. We’re also happy to be aligned with a brand that’s so well-loved. We have worked with DreamHost on smaller partnerships at the chapter level in the past and have heard great feedback among organizers. This partnership is about supporting students who are building their first websites and learning WordPress for the first time. Sign up for our monthly newsletter and get DreamHost updates delivered directly to your inbox. 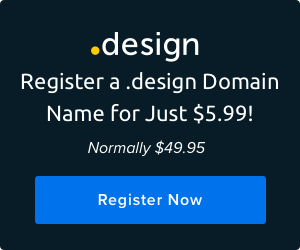 It’s really wonderful because it alleviates some of the stresses of deciding on a hosting provider and figuring out how to get a domain. Knowing we are giving them access to a reliable and secure service gives our students a solid platform to help them build and continue working on their skills. This partnership will enable us to teach more WordPress classes and reach more students who will now be able to get a website or blog up in a more accessible and effortless way. 10. Besides the partnership, what do you see in the future? Expansion! Reaching more people where they are. When GDI was first starting, a lot of people would drive two plus hours to take these classes wherever chapters existed nearby. Now we’re in more than 65 cities, and I hope to see us serving more and more women in communities we’re not in, and connecting with mothers, immigrants, veterans, and other targeted underrepresented groups we’re not reaching. There’s no lack of demand — we get inquiries every day from around the world. Related: Here are 30 ways to be an ally for women in tech in 2018. I want to keep seeing us grow, and we couldn’t do that without the work of our chapter leaders. The chapter leaders are the heart of the organization: bringing women together as students, recruiting instructors, inspiring, and making these classes work in their communities. Without them, we wouldn’t exist. 11. What can individuals do to be more aware of some of the issues that GDI is trying to bring to the forefront? For anyone who wants to learn more, there’s so much diversity literature and research online, from NCWIT.org to the work Project Include and Kapor Center are doing. Getting involved with GDI is a great way to give back to the community. Wherever you may be, you can volunteer as a teaching assistant, you can encourage women to take a GDI class, or you can offer space. One of the main ways we thrive is when companies offer teaching space for us. Whether it’s a room that holds 12 or 100 people, any company opening those doors for us to host classes is beneficial. 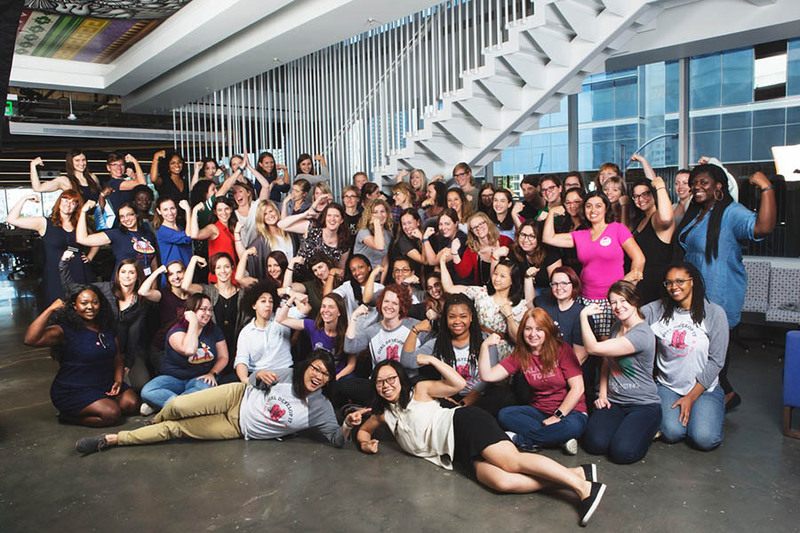 Interested in learning more about web and software development with like-minded women? Click here to find a GDI chapter near you.